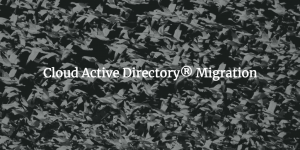 How difficult is a cloud Active Directory® (AD) migration? Well, the first challenge in that question emanates from the fact that there really isn’t a cloud AD solution. At first glance, it would appear that Azure® Active Directory is the cloud equivalent of AD, but that isn’t the case. Azure® Active Directory serves as a source of truth for identities for Azure – Microsoft’s Infrastructure-as-a-Service (IaaS) offering – as well as Office 365™. In addition to these capabilities, Azure AD acts as a single-sign-on (SSO) provider to web apps. Unfortunately, adoption of Azure AD doesn’t mean you finally get to rid yourself of on-prem AD instances; Azure Active Directory is something extra to manage in addition to on-prem AD. While it may appear that a good solution does not exist, we do have some good news. There exists a cloud Active Directory alternative that makes up the next generation of directory services. 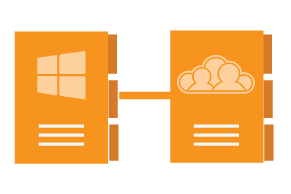 Called Directory-as-a-Service®, this cloud identity management platform connects users to their systems (Windows, Mac®, Linux®) web and on-prem applications via SAML and LDAP, cloud and on-prem servers (e.g. AWS, GCP, and on-prem data centers), physical and virtual file servers (NAS appliances, Samba file servers, Box, Google Drive™, etc. ), and wired and WiFi networks through RADIUS. Directory-as-a-Service is a true modern identity provider (IdP). As a next generation IdP, JumpCloud® has made sure to simplify the migration path to the cloud. With step-by-step guides and support to help IT admins navigate through the process of migrating identity management to the cloud, IT organizations can shed their on-prem infrastructure in favor of a cloud Active Directory alternative. Shedding AD results in a lot less to manage and secure. Because Directory-as-a-Service is delivered from the cloud, IT admins can leave the heavy lifting of identity and access management and its accompanying hardware to JumpCloud. For those that aren’t quite ready to shift their IT resources completely to the cloud, a feature called AD Bridge lets IT organizations keep their on-prem AD server while they run the cloud identity management platform in parallel. This approach can be used to connect AD identities to Mac® and Linux® systems, WiFi routers via RADIUS, legacy apps via LDAP, and cloud infrastructure (AWS®, GCP™) while still maintaining AD on-prem. Over time, as the two identity provider platforms run in parallel, IT admins can start to reduce their use of AD and shift to the cloud directory as desired. With the majority of resources moving to the cloud, shouldn’t you be looking for a cloud Active Directory migration alternative, since Microsoft doesn’t supply one? Aside from the time and cost savings of no longer having to manage your AD implementation, Directory-as-a-Service allows users to self-serve their password resets. The time savings alone is enough to initiate more high-value initiatives. 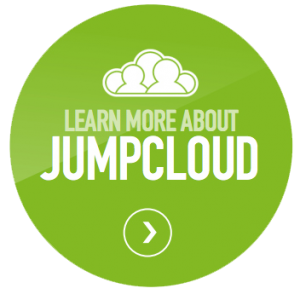 Give JumpCloud a shot today, and sign up to manage 10 users for free, forever. If you have additional questions, give us a shout or check out our knowledge base.